1. Crush the grated coconut along with cumin seeds and pearl onions to a coarse mixture. 3. Now bring down the heat and add the crushed coconut mixture in the middle and cover it up with the cooked vegetables. Again cover up with the lid and let it cook for a few minutes. Now open the lid and mix the coconut mixture well. Be careful not to break the vegetables. If you are using curd(add around 1/4 cup, depending on its sourness), add it now. Taste check for salt. Switch off. Add 1 tbsp coconut oil and a few curry leaves to the cooked aviyal. Cover with a lid for at least 15 mts. Mix well. Serve this yummy chakka aviyal with hot rice, pulliseri and other side-dishes. Chakka is my fav….aangan kothiyayittu oru pravishyam 2 frozen pack vangi..took for cooking next day..cover was soooo beautiful…pakshe inside it was spoilled…still got one packet…I always take it…see the cover…then keep it back…I am sure if I open it it will be in dustbin.. This is bookmarked! All my fav ingredients in one bowl! Fab presentation as always dear! Wow looks fabulous… today I bought one jackfruit and was thinking of making something different.. Thnx for sharing.. I have never even tasted jackfruit, think I need too. Looks so authentic and delicious aviyal..
Lovely Aviyal. I always eat Avial with Adai! Looks delicious ….. will try with the frozen jackfruits here. ethu vare ee dish kandittilla… kollaam tto..
Love your authentic dishes..this is simply delicious! I have heard about aviyal, but never tried, looks superb. I love avial and this looks authentic. I can eat the whole bowl myself without rice ..looks awesome. daivadosham kittum ketto…ithokke ee pavangale kanichu kothippikkunnathinu…Forgot when I had this last time 🙁 love it ! Never had this type of aviyal before sounds intresting and yummy. Jackfruit aviyal looks delicious ! Aviyal looks very tasty and fulfilling. Great preparation. Aviyal looks extremely inviting and delicious..
Wow authentic recipe, chakka enthe yum favorite aa ..adipoli. chakkaum chakka kuruvum kanichu kothipikkale. 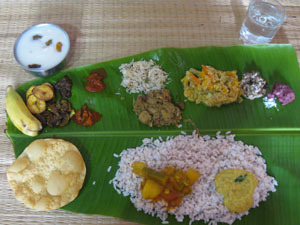 adipoli.